Being conscience not to overuse your products is an example of what I mean by living better with less. By only using what you actually need helps you get the most out of what you buy. Liquid cleansers with pumps are easy to overuse since one full pump is usually way more than you need to clean your hands or face. This concept is simple but I’ve noticed many times friends and clients using multiple pumps to wash their lightly soiled hands but then wonder why they go through it so quickly. 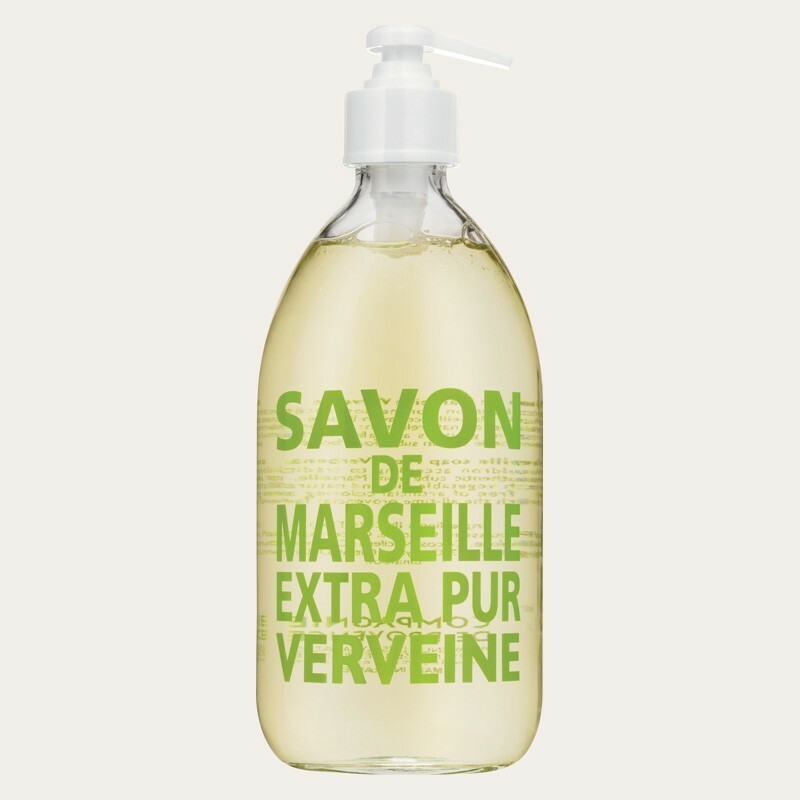 Generally speaking I prefer bar soaps but I do adore the whole Savon De Marseille line. Not only are they gentle and wonderfully scented, they come in a simple but beautiful reusable glass bottle. Here is another good tip – I use a glass olive oil dispenser from Ikea for dish washing soap – dispenses just a tiny drop or two with a good shake. Plus, it’s much prettier than soap the bottle in came in too!